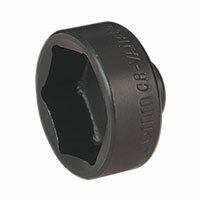 Oil filter sockets, used with oil filter wrenches, are a small but important piece of equipment for removing oil filters. 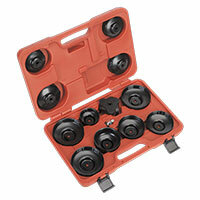 They’re specialised tools that make changing filters much quicker and more convenient. Changing oil filters can be a hassle if you don’t have the right tools. 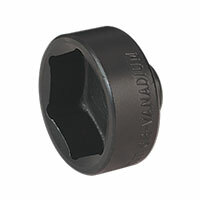 Oil filter sockets are purpose-made bits of kit that fit snugly onto spin-on oil filters, making them easy to twist off for maintenance or replacement. 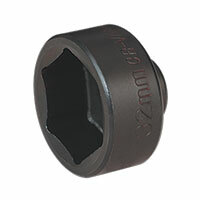 Oil filter sockets are usually made of hardened chrome steel, which makes them durable. They’re usually hexagonal or square-shaped, and come in a range of sizes to ensure they fit the oil filter they’re made for. They can then be operated with a socket wrench, or alternatively some types come with bar or chain attachments. There’s nothing more frustrating than lacking the one tool you need for a job – so make sure you’re fully stocked by dropping in to one of the 200-plus Euro Car Parts locations around the country. If you’re hunting for something that’s hard to find, just ask – with over 130,000 products in stock, we’ll be delighted to help.